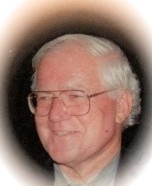 Dr. Richard J. Boylan is a Ph.D. behavioral scientist, anthropologist, university associate professor (emeritus), certified clinical hypnotherapist, consultant, and researcher. He provides hypnotherapy for recalling full details of partially-remembered close encounters with the Star Visitors, and for exploring previous life experiences stored in subconscious memory. Dr. Boylan also is a consultant to Star Kids and Star Seeds seeking to understand better their origin, identity and mission, so as to attain optimal awareness and clarity of identity, inner growth and spiritual development. His career has spanned four decades of service as a social worker, psychologist (retired), clinical hypnotherapist, clergyman (retired), school administrator and clinic administrator. Dr. Boylan has served as a Lecturer at California State University, Sacramento, University of California, Davis, National University, Chapman University, and Sierra College. Since 1989 Dr. Boylan has conducted research into human encounters with the Star Visitors. This has led to his current focus, creation of the Star Kids Project(c), and working with these hybrid children with advanced abilities and their families. He has presented papers on his research at, among other conferences, the 1992 M.I.T. Abduction Study Conference, and the 1995 Cosmic Cultures International Conference at Washington, DC. He is author of three books, Close Extraterrestrial Encounters (1994), Labored Journey To the Stars (1996), and Project Epiphany (1997). He has over 50 articles published. Dr. Boylan is President of the Academy of Clinical Close Encounter Therapists (ACCET) Inc., a federally- recognized nonprofit educational and research organization, and, President of Star kids project, Ltd.. He has conducted numerous workshops for mental health professionals on the specialized counseling for experiencers of Star Visitor contact. He has lectured widely at regional and national conferences, and has been interviewed on numerous radio and television programs, including NBC's "Sightings" twice, on Paramount Television Network's "Paranormal Borderline", and three times on Art Bell's "Dreamland" program. Dr. Boylan is a member of the National Board of Hypnosis and Hypnotic Anaethesiology. He is Past-President of the Sacramento Valley Psychological Association. His wife, Lee Boylan, MBA and he have four children. Researcher, specializing in Contact/Abduction and Ufology. Author ‘Awakening” ( Fortune Books. UK) 2002. Published articles i.e.“Star Children.” “The Abductee Support group.” "Awakening to Contact." Co-producer of Metaphysical CD’s i.e. "Journey to the Stars" and audioTape ‘Feel like you are having Contact experiences? Consultant, researcher for UFO exhibit “Phenomena.” 2000 Fremantle Perth. International Lecturer, Both in America and United Kingdom. 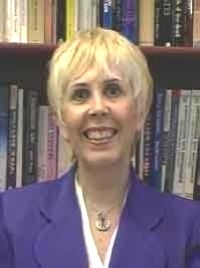 Group facilitator for ‘Experiencers’ at International UFO Congress Laughlin Nevada USA 1999 and 2000. Lectured Murdoch University Perth WA 1998, 1999, 2000, 2001. Television/media appearances on Australian Television Channel 2, (ABC) Channel 7, 9, & 10. Channel 7 Today, Tonight. Media presentations radio, also in America, Jeff Rense Show and Radio in San Francisco. 3 Adult children. Born in the United Kingdom. Migrated to Australia 1991 and permanent resident of Australia. Australian Citizen in 1993. Linda is a busy mother of two Star Kid sons, and still makes time to help with the Star Kids Project. She helped bring two Star Kids & Star Seeds Workshops to Allentown, Pennsylvania in recent years. Now she is active in helping put together the Star Kids & Star Seeds Advanced Workshop in Philadelphia May 28-29, 2011. Linda is a model of Star Seed activism that makes a differnce.